Sprite Lymonade Is Now A Thing! 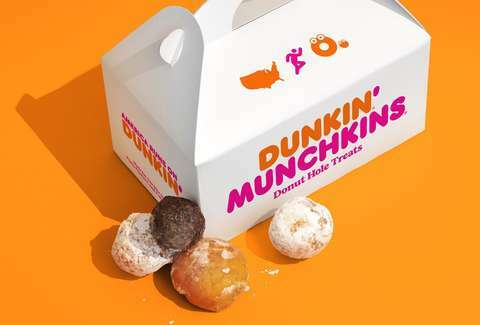 Dunkin’ Has 10 Munchkins For $2 This Month! I knew February was one of my favorite months for a reason! February is Black History Month, and the month of love, so you can see why it would be one of my absolute favorites of the year. But Dunkin’ (still trying to get used to that name change) is trying to make February even better! You know those little donuts they have? The munchkins? Well, you can get 10 of them for just $2 all month! The debate on if Dunkin’ is the best donut place in the world is a heated one. Personally, no one has anything on Old Fashioned Donuts on 113th and Michigan in Chicago. Their donuts are life changing ok? But, Dunkin’ is definitely up there and the munchkins are almost universally thought to be one of the best treats ever made. So the thought of getting 10 for $2 is honestly a little dangerous. Dangerous to my diet and figure. You only have 28 days to take advantage of this deal! Will you?